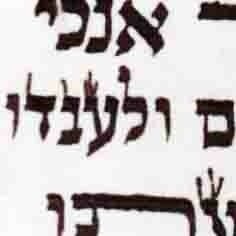 The reish is a shaylas tinok, and if read reish must be fixed by adding dyo. The tav to my opinion is pasul. 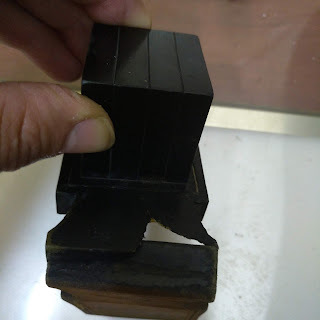 22 years ago I had this same type of Tav in my own Tefillin and I changed the Parsha but It was sent to Sampson in London who was Machshir and added a little ink on the back of the right regel and very slightly made the bottom of the rosh 1/2mm thicker. Looking at this picture again and again I can see that both raglayim are not coming out of the same spot and there is a small revach. Based upon my experience I would be Noiteh to pass it as okay. It has no other Tzurah other then a Tav. I am not a Moreh Horaah and would still send this in for Top level advice. Just sharing my own story. "It has no other Tzurah other then a Tav." To me it looks like a Tzadi Hafucha. you would never pass this tzurah as a Tzadi!!!! I was only passing on my own past experience. 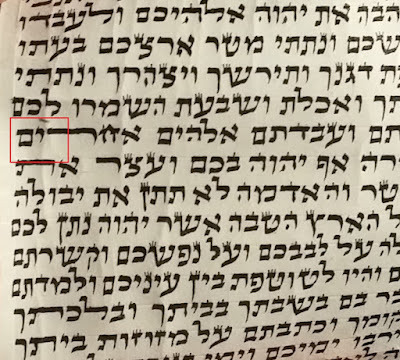 If you add a little ink to the kav of the right regel you would not have such an odd looking Tav. It is only because the bottom has a Blita that it looks funny. I am not convinced this is a Pusul Tav. Reish is a shailos tinnok. R' Shammai would say the same lifi what I've seen by him in the past. This is what the Mikdash Ma'at already says is a shailos tinnok. The Tav I personally am in sofek if it's a shailos tinnok or pasul. I'm more noteh to say it's a shailos tinnok. Again lifi what I was makabel from R' Shammai in similar shailos (that it's a shailos tinnok.) He said it becomes more of a problem of the 2 legs come mamash to a point together at the gag (in the middle or if one one regel is all the way to the right and the other regel is slanted meeting it at a point.) Here you see you don't have that and there is a little bit of space in between. Leaving me to believe he would also say it's a shailos tinnok. Perhaps somebody here can draw the correct steps of correcting this reish with ink! start from the bottom - dont dare do it from the top !!!! !